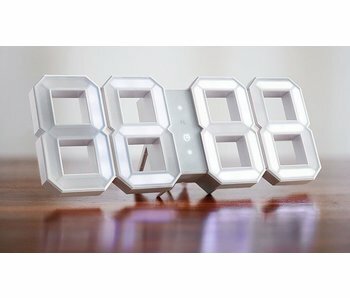 The White & White clock's come in two different designs: white and black/white. They are the Russion Vadim Kibardin, who is graduated from Ural State Academy’s of Architecture and Art Industrial Design Department, winnaar van veel Awards, inclusief Reddot design award, iF Award, Promosedia International Design Competition, DIA, Charman design competition. Coverage has been published in many international leading design magazines such as ID, Interni, Frame, AD, Design week, Wallpaper, Elle Decoration, Salon, Monitor - and so forth.